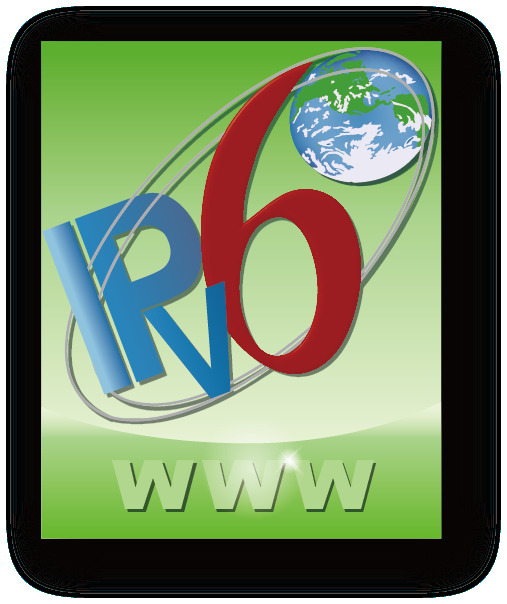 The IPv6 Forum IPv6 Enabled Logo program objective is to accelerate deployment of IPv6. The goal of this program is to increase user confidence by demonstrating that IPv6 is available now and is ready to be used. The IPv6 Enabled Logo program consists of two logo sub-programs: the IPv6 Enabled WWW Logo Program and the IPv6 Enabled ISP Logo Program. The IPv6 Enabled WWW Logo Program is the first one to be released. Its objective is to encourage adoption of IPv6 on the millions of web sites (WWW) at enterprises, Internet Service Providers (ISPs) and private users helping them to test and check their proper IPv6 readiness and adoption. Sample Code for Dual Stack Applications Using Non-Blocking Sockets! Internet Evangelist promotes IPv6 to the Web World! The IPv6 Enabled WWW Logo Program integrates two levels: basic and advanced. The basic level validates the applicant web site IPv6 reachability as defined by the IPv6 Enabled WWW Logo validation specification. If the script is run successfully the applicant web site is assigned a logo ID and is listed on the IPv6 Enabled web pages. Download the IPv6 Enabled WWW validation specifications from the IPv6 Enabled Logo web site. Fill out the Application form online and complete the IPv6 Enabled Logo Usage Agreement by filling out the entry information and pressing the "apply button" to show your intention of agreement. Once your application is validated and basic reachability checks are run you will receive a dynamic image logo with a script to be insert in your web site source file. The script will check the IPv6 reachability of your web site. Once the script is run successfully on your web site you will receive Logo ID with a unique serial number. Your web site will be listed on the IPv6 Enabled WWW Web Sites List. IPv6 Enabled Logo Program now calls for information and advices from public. If you have any good suggestions or questions, please mail to ipv6enabled-info@ipv6forum.com. Your support and cooperation would be greatly appreciated. For any query or comment about the validated web sites, please contact us. The IPv6 Enabled ISP Logo Program integrates two levels: basic and advanced. The basic level validates the applicant IPv6 service as defined by the IPv6 Enabled ISP Logo validation specification. If the script is run successfully the applicant ISPs is assigned a logo ID and is listed on the IPv6 Enabled ISPs pages. Download the IPv6 Enabled ISP validation specifications from the IPv6 Enabled Logo web site. Once the ISP owner’s application is validated and basic reachability checks are run, you will be able to receive a script to be inserted in a web site source file. The script will check the IPv6 reachability of your ISPs' service. Once the script is run successfully on the ISP you will receive Logo ID with a unique serial number. Your ISP will be listed on the IPv6 Enabled ISP Web Sites list.